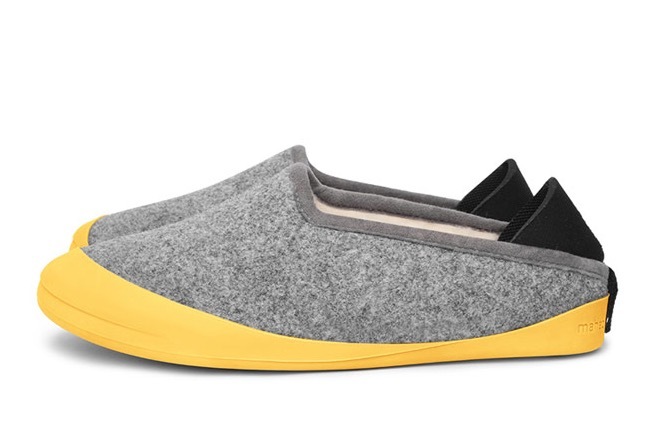 Mahabis are one of the coolest looking slippers you can buy with a wool lining and a removable sole. We’ll help you decide if you should buy Mahabis, or if you should look at another slipper option to keep your feet comfortable around the house. You can buy several different types of Mahabis, and there is even a full outdoor model that is designed to be worn like a normal shoe. This the classic, summer and luxe versions as well as limited editions. Mahabis start at $94 and are available in mens and women’s sizes. You can add additional soles to your order for $20 to $35 to spice up your Mahabis style. Here’s a look at the reasons you should buy Mahabis, and the reasons you should keep looking for the perfect slipper. The coolest slipper you can buy. One of the biggest appeals for Mahabis are the style. With three upper color options to choose from on the classic and a wide range of sole colors, you can pick a combo that matches your style and personality. Yes, Slippers are for wearing at home, but with a pair of Mahabis, you’ll likely leave your shoes at the door and slide into your Mahabis even when company is over. Mahabis are designed to fit snugly and stay on, but one of the best parts is that the heel can collapse so you can easily slide them on instead of bending down and pulling the heel up. This is perfect for short wear sessions, and you can easily pull the heel up for a more firm fit when you sit down next. As someone who works at home and has two dogs to take out this is a feature I look for in any slipper. The TPU sole is removable and it is designed to be used outside. Mahabis recommends attaching the sole when you go outside and then removing it when you come inside. It is not meant for extended outdoor wear. This helps keep anything you step in at your door and not traipsed all through your house. Most Mahabis reviews mention that the slippers fit snugly. While Mahabis notes that the slippers are generously wide, you will want to factor in your size with the slipper size you choose. The Sleep Sherpa ordered up a size from his half size and found them looser. Ultimately you should consult the sizing guide, and if you are worried about fit you can contact Mahabis before you order. Nordstom now sells Mahabis at select locations, so you may want to go there and try on a pair before you buy. One of the issues with the Mahabis Classic is that some consumers complain about the smell. This video outlines one user’s complaint about Mahabis slippers. It’s worth noting in the video that she is wearing the soles indoors, which Mahabis does not recommend. Leaving the outer sole off will help the upper breathe better. While they don’t recommend washing Mahabis, the company says you can wash them on delicate at low heat. The Wirecutter didn’t like the artificial polyester felt and the lack of any natural odor resistance.